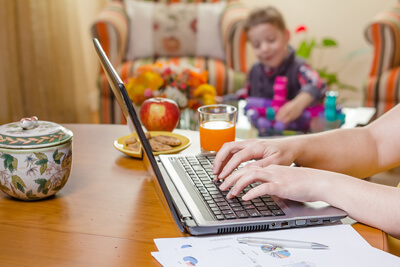 Our Home Business Services are a designed around your work-flow and your computing needs. We can provide you with Dell computers, HP (Hewlett-Packard) or other brands. We assess your needs carefully and suggest "best of breed" solutions so that you get exactly what you need. Not too much and not too little. Our IT support group can help you make sure that you have sturdy Desktops and Laptops so that you have a dependable and reliable platform to grow your business. Or, reliable technologies help you with your marketing, sales and services that you offer your customers. Whether it is a Wireless Network, Multifunction Printer, Remote Control System or any other computer need, we are here to help. With our Home Business PC Services there are no contracts or long term commitments. You simply pay for our services as you go and as needed. This keeps your Computer costs low and productivity high. And should there be a disaster or problem, we are just a phone call away. Consider us your virtual Computer IT Staff! We work with clients throughout Waukesha County, including Mukwonago, Eagle, New Berlin, Waukesha and much more! No one takes care of your home office business like us, Contact Us today. Call us at 262.662.0811.